Spotware, the well-known masterminds behind cTrader and cXchange has announced the release of two online resources. 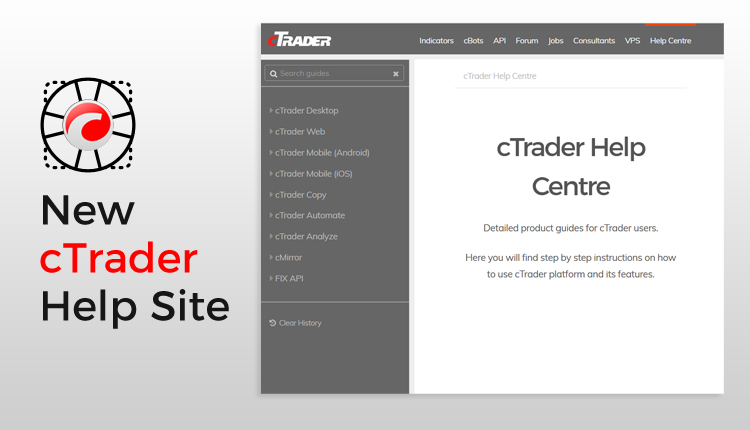 These are the new cTrader Help Centre and the Spotware Marketing Portal. These portals have been updated and relaunched. They have a clear aim to support brokers, traders and partners by giving them more educational and promotional materials. The cTrader Help Centre has become a part of the cTrader.com community website. The cTrader help site is directed towards the end users of cTrader. It offers detailed product guides with step by step instructions on how to use cTrader platform and its features. Here, traders can find documentation for cTrader Desktop, cTrader Web, cTrader Mobile, cTrader Copy, cTrader Automate, cTrader Analyze, cMirror and FIX API. An update of this website was long overdue and we are very excited to see these changes come into effect. The Spotware Marketing Portal is an extensive marketing resource for Spotwares clients and partners. It provides various materials, including platform screenshots, logos, creatives, videos, content, and others. The portal is available to help cTrader brokers and providers of cXchange to promote the platforms to their users. The launch of the new cTrader Help Centre and Marketing Portal highlight the company’s commitment to its clients, partners, and traders.